BASKETBALL SPOTLIGHT NEWS: Sexton Set On Super Skillcase! The Super Skillcase talent continues to grow as Armoni “Live Wire” Sexton has joined the event. 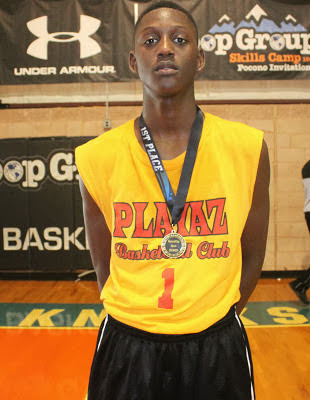 Sexton of Paterson, NJ and the Playaz Basketball Club finished last season off as one of the top wing players in the country. He checked in at #11 on our list of top players in America. Now he will have the stage to prove the he is worth the price of admission. The Super Skillcase will kick off November 9th and 10th in Atlantic City, NJ. This talent this year is through the roof and we can’t wait to give you the feedback. This is no doubt the #1 exposure event in the country. Don’t miss out!